Tired of being flooded with too many emails? 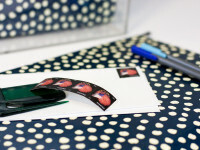 I’m spilling the beans about the secret weapon I use to achieve inbox zero and sharing how to organize email with this one simple hack. Wouldn’t it be a glorious feeling to actually be entirely caught up on email? 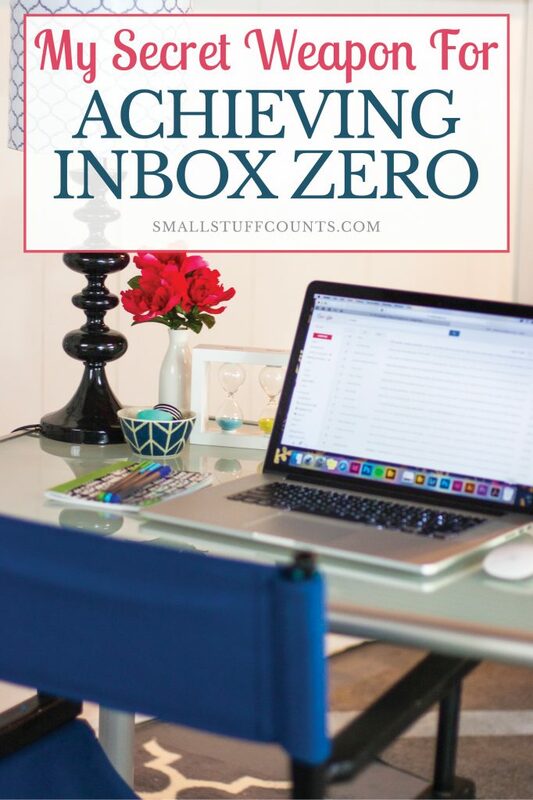 Contrary to what you may believe, achieving inbox zero really is possible! Really! 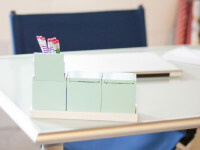 I discovered a secret weapon for organizing my email inbox three years ago and have been using it ever since. It helps cut down on the number of emails cluttering my inbox and allows me to consistently reach that glorious inbox zero we all wish for. And you’re one lucky duck because I’m spilling the beans about my secret weapon today! If you’re anything like me, you get bombarded with emails All. Day. Long. They never stop! 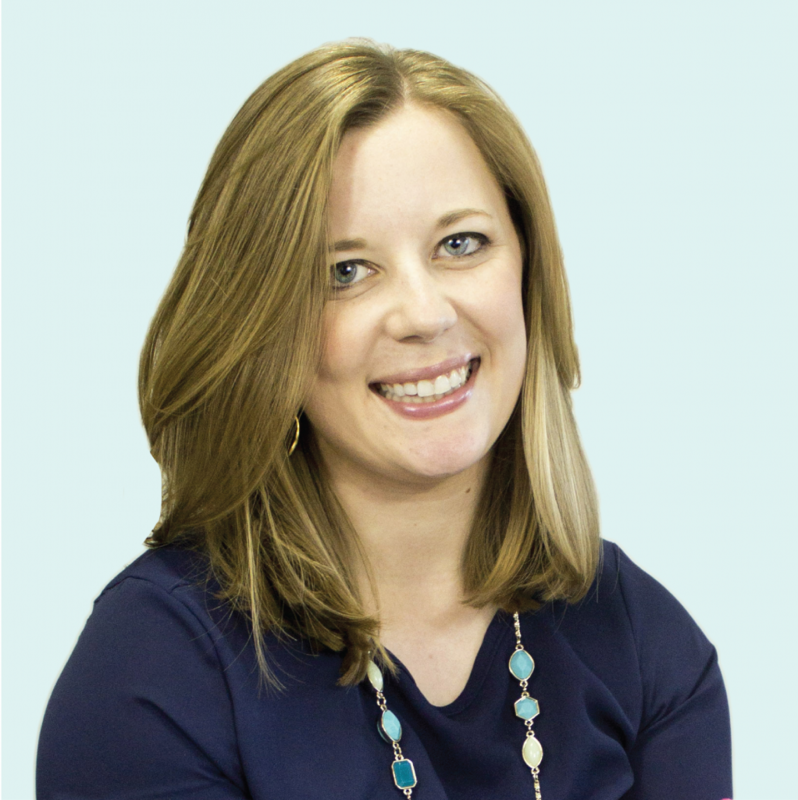 My inbox is flooded with emails from my favorite brands, blogs, and businesses. I truly enjoy reading many of them, but let’s be real – I most certainly do not have time to deal with them every day! 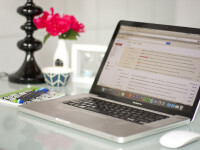 Don’t let a cluttered email inbox stress you out. There’s a way to prevent all of those newsletters and marketing emails from getting in the way of the important, time-sensitive messages. And it’s simpler than you think! I used to get so annoyed with all the email that I’d go through my inbox and mass delete all of the beautiful, entertaining and useful newsletters just for the sake of getting to inbox zero. But I don’t have to do that anymore! Ready for my secret weapon? It’s Unroll.me. This (FREE!) tool lets you bulk unsubscribe from promotional emails and will gather up all of the emails you still want to get into one neat and tidy place so they don’t clog up your inbox. It’s super helpful! Unroll.me, it will generate a massive list of every single subscription newsletter it finds in your inbox. And, if you’re anything like me, you have hundreds! “Roll it up” into your unroll.me daily update. This alone makes it well worth the few minutes it takes to set up an Unroll.me account and let it run its magic. If you receive a ton of subscription emails that you don’t want, this bulk unsubscribe feature will blow your mind. When I started out with , (more than three years ago now), it was liberating to unsubscribe to so many emails that were no longer interesting or relevant to my life. I opted to “roll up” most of the rest of the subscription emails and I suggest you do the same. Unroll.me bundles up subscription emails and sends you one organized daily email that is a digest of every email it’s kept out of your inbox (it automatically moves these emails to a specific email folder so you never see those unread messages in your inbox. On average, my daily roll-ups have 20-25 emails, meaning that I condensed those 20-25 individual emails I used to receive into just ONE email. That’s how Unroll.me keeps my inbox so much more manageable than it used to be. 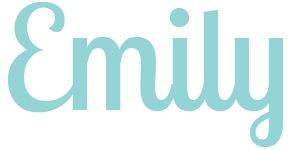 Unroll.mewill send your daily digest in the morning, afternoon, or evening based on your settings. You’ll see excerpts from every email and can click through to read the original message. There’s also an app you can use to read your daily digest which is what I’ve started to do when I find myself with a few extra minutes in my day. Here a quick video of the app in action – it’s so handy when I can read my favorite bloggers’ newsletters at my leisure rather than having them stare me down as unread messages in my inbox. Unroll.me drastically cuts back on the number of emails bombarding me so I can focus on the important ones. In the past, I would delete most of these emails without ever opening them. They just got in the way! But I now truly look forward to spending a few free minutes reading my daily digest for the day. 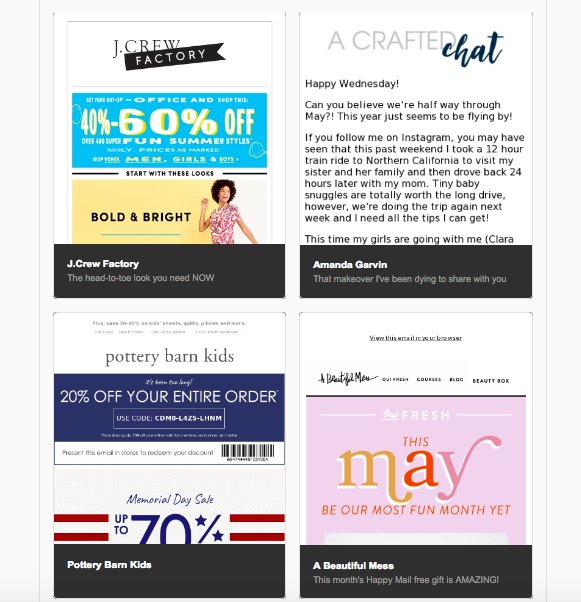 It’s turned into my own customized e-magazine of sorts because it contains updates from my favorite bloggers along with sales from my favorite stores, so it’s fun to scroll through the previews and click to read the full emails if they look interesting. At the top of each daily roll-up is an alert that notifies me if there are new email subscriptions I might want to roll up. Since I am often subscribing to new newsletters, this alert reminds me to continue rolling them up so my inbox stays nice and tidy. While my secret weapon won’t actually answer emails for you, it will cut down on the number of emails cluttering your inbox. This should help you focus on the messages that are actually important without all those subscriptions getting in the way. Have you used Unroll.me before? 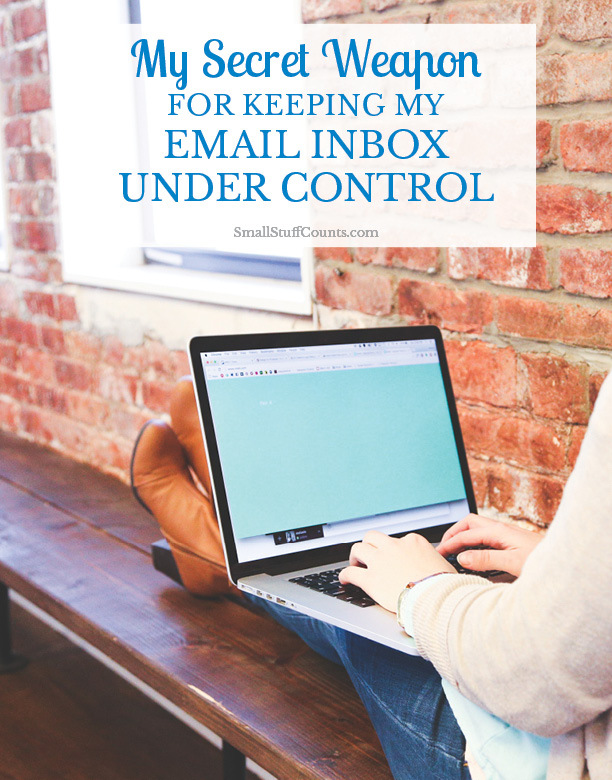 Leave me a comment and let me know what you think of it, as well as any other tips you have for keeping your email inbox under control. Want to increase your productivity? 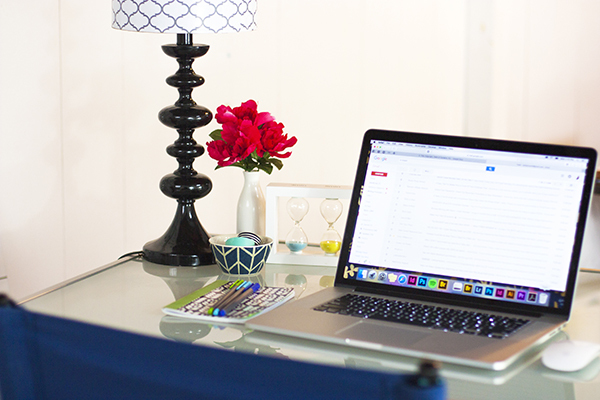 Take the free Organize Your Week e-course and learn how to create a routine that really works. Welcome! You're now one of my VIPs! Watch your inbox for the newsletter each weekend. So far I love it! Just wondering if there is a way to “save” an email in the roll-up? Or, do I save the whole roll-up email? Does that make sense? 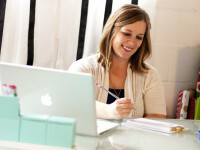 Hi Kim, glad you’re loving Unroll.me! If I’m reading a roll-up and find an email I want to save, I simply go into my Gmail and search for that email so I can label it/file it appropriately. All emails in your roll are automatically filed in an unroll.me folder in your email, so you just need to locate it in there and tag/file as you wish. Hope that helps! So glad to hear it! It’s empowering to unsubscribe to things! I hope this helps you get your inbox cleansed out and keep it clean. I use this service, too – it is SUPER helpful. I’m glad you agree! It’s been huge for helping me manage my emails. Thanks for visiting! Great concept! I might just have to try it out! Thanks for sharing! Try it out, it’s free! Thanks for visiting, Whitney. unroll.me is a life saver for the week after I get my check and have signed up for email alerts, thinking I have money to spend haha. Unroll Me sounds perfect! I get so many emails, and many of the subscriptions I receive I don’t even remember signing up for! And, a lot of them I try to unsubscribe from and it doesn’t even work. I should try this! Try it out! It’s a great tool for unsubscribing to a bunch really quickly. And then whatever you still enjoy receiving can be condensed into one daily email so they are fun to read, not annoying.